Does Online College Actually Work? Yes, online college works, but only if you know what to look for…and what to avoid. According to the Babson Survey Research Group, which tracks annual growth in online enrollment, more than 5.8 million students were enrolled in at least one online class as of 2014. That’s 28% of all college students. Babson also found that the number of academic leaders who consider online education critical to their long-term strategies dropped from 70.8% in 2015 to 63.3% the following year. A drop like this undermines the idea that it’s just a bunch of stodgy old timers who haven’t really figured out how to use the interwebs without calling their grandchildren for help. Of course, we all know online college is convenient. You can attend from anywhere you have Internet access. If that place happens to be at home, you don’t have to wear pants. And unlike attending class on a college campus, you have no risk of receiving a university-issued parking ticket. But none of that is news to you. You understand that it’s convenient. But does that make it worth your time and money? Is convenience something on which you should be staking your future? Convenience is empowering. If you can obtain an education and a degree on your own terms, on your own schedule, in coordination with other needs and priorities in your life, there’s no limit to the value that convenience might represent. That convenience might well represent freedom. But let’s not get all pie-in-the-sky about this just yet. If you pay for that convenience without the backing of quality, reputation, or value, you’ll end up with the exact opposite of freedom. You’ll be shackled to a worthless degree, and probably a whole bunch of student debt. The Internet is an awesome sea of opportunity. But like any sea, it is also deep, dark, and abyssal at points, lurking with predators ready to feast on those who drift too far from shore. We’re not trying to scare you, nor is this a subtle plug for Shark Week . You should just know that the answer to the question, “does online college work?” is couched in the decisions you make. Make them wisely and you could be a big fish in the virtual pond. A degree mill is a college that turns out low-quality degrees with limited professional credibility. If you’re online college of choice is lacking Department of Education-recognized accreditation, you may have stumbled on a degree mill. A degree mill is a college that turns out low-quality degrees with limited professional credibility. Often, these institutions are for-profit education companies who recruit, enroll, and graduate students based on economic imperatives rather than educational priorities. As it happens, students are getting savvier about this stuff all the time. After years of foreboding news stories about towering student loan debts, as well as the Obama administration’s fairly successful crusade against fraudulent higher ed companies, students are becoming a lot sharper about their online college decisions. According to U.S. News and World Report, enrollment in online colleges and courses continued its steady uptick between 2013 and 2014 (the most recent year for which Babson makes data available). Even as enrollment rose by 3.9% (a relatively slower pace than in previous years), enrollment in for-profit colleges fell by 2.8%. New rules stripped certain schools of the ability to award student loans. This reality ultimately forced underperforming for-profit schools to close their virtual doors. The consequence is an online education sector with greater quality control. But that condition may be temporary. Check our Education Policy Update for details on how Donald Trump and Education Secretary Betsy DeVos are working to roll back these college consumer protections. If successful, they would effectively reinvigorate a struggling degree mill sector. This means that you, the consumer, will have to conduct due diligence to be sure that you’re likely to get value out of your investment. View any institution that lacks regional accreditation with skepticism. Regional accreditation should be your starting point. View any institution that lacks regional accreditation with skepticism. If your school of choice has national accreditation, do a little research into the accreditor. Not every accreditor is reputable, so if you see the stamp of a national accreditor, don’t just take that agency’s word for it. Find out more about the accreditor or look for other indicators of a school’s reputation or past performance. You can also check out the U.S. Department of Education’s College Scorecard to learn more about graduation rates, employment outcomes, and other key indicators regarding a college’s performance history. This is more than just a good way to identify and avoid possible degree mills. You can also use this tool as a way to comparison shop for quality online education opportunities. Oh, also, if you happen to Google your school and find news stories about massive fraud, corruption, or racketeering scandals, that’s probably a red flag. Half of all college classes will be e-learning based by 2019. According to eLearning Industry, roughly half of all college classes will be e-learning based by 2019. This fact alone underscores the value of online college and the increasingly important role it will play in the delivery and proliferation of higher education opportunities. But it also underscores the challenge of finding the right opportunities while sidestepping the wrong ones. As noted above, a great starting place is accreditation. Many online colleges are affiliated with accredited colleges and universities. Other online colleges have earned accreditation strictly through distance learning offerings. An online university must have accreditation through an accreditor that is officially recognized by the Department of Education in order for its students to be eligible for student loans. While course offerings, opportunities, and reputations will vary from one online college to another, a stamp from one of these regional accreditors usually suggests a definable level of quality assurance. One way to get around the skepticism of today’s educator is to pursue a blended learning strategy. Blended learning offers a mix of traditional and online classes. Educators are increasingly coming to favor this approach. With blended learning, you’ll earn credits and complete work both through online courses and traditional classrooms. While some of your curriculum and instruction will be conducted online, you'll also have a chance to attend lectures, participate in laboratory work, and participate in face-to-face study groups. In fact, studies by both the Department of Education and the Kaplan Group have found that blended learning avails more opportunities for direct attention and interaction than traditional learning methods alone. In other words, this is really the best of both worlds: an opportunity for a high quality online education and a chance to be a part of a campus and community. Massive Open Online Courses (MOOC) are exactly what they sound like, and evidence suggests they really work too. MOOCs are evidence that you can gain a pretty good payload of knowledge just by showing up and paying attention. In fact, the International Review of Research in Open and Distance Learning published a study in 2014 that compared pre- and post-testing of students taking a physics class both online and in the traditional context. The online students out-performed their classroom counterparts — regardless of any preexisting knowledge or preparation students brought to the course. Online students out-performed their classroom counterparts — regardless of any preexisting knowledge or preparation. According to U.S. News & World Report, 11.3 percent of higher education institutions offered MOOCs in 2015. The number of available offerings is not growing at a particularly fast rate. But the cool thing about Massive Open Online Courses is that they’re massive. In other words, if you want to take one, you can. Access is unlimited and free of cost. And some courses even provide forums for community interaction with fellow students. In principle, the goal of MOOCs is to widen access to online educational opportunities for everybody. That means you qualify! Of course, while MOOCs come with no prerequisites or course requirements, you’ll probably get the most out of one of these classes if you have the appropriate level of preliminary knowledge for your chosen subject area. For instance, I probably wouldn’t dive right into MIT’s open course on Sensory-Neural Systems: Spatial Orientation from End Organs to Behavior and Adaptation without having just a little foundational background in Aerospace Engineering. But that’s just me. You do it your way. That’s what makes MOOCs so cool. It’s totally your call. Sometimes, getting a degree from an online college can be the fastest path to your goal. But it may not be the best path. If you seek an education in a complex subject like engineering or law, don’t look to online college as a shortcut. If it is a shortcut, you've probably chosen a less-than-stellar school. Online college may be an alternative to traditional learning, but it isn’t meant to circumvent the hard work, diligent study, and application of skill required to succeed in a classroom setting. Your level of engagement will be entirely up to you if you want your online educational experience to work. One of the reservations that educators have about online education is the degree to which it reduces a student’s sense of accountability. In many ways, the traditional model that places the instructor front and center in a physical space creates a measure of authority that serves to motivate. The same is true about the presence of a classroom community. Your interactions with your peers, and the simple social imperative to be a part of active discussion or participation norms, is likely to be stronger in a brick-and-mortar setting. This is not to draw a comparison or to argue that one is better than the other. It simply means that your level of engagement will be entirely up to you if you want your online educational experience to work. Without these social imperatives, be prepared to captain your own learning ship. (I’m sorry. I know I said I was done with the nautical imagery, but here we are). Anyway, if you can find the discipline within yourself to engage, absorb, and contribute, your online experience should be pretty smooth sailing. Sorry. That one was a little overboard. (Man, I really can’t stop). According to a report by the Department of Education, an analysis of over 1000 studies of online education between 1996 and 2010 reveals that, overall, online students performed marginally better than their classroom-only counterparts. It isn’t exactly clear why this is the case, but it does seem to undermine aging assumptions that online education is somehow inferior. It’s not the medium through which you receive your instruction, but how good this instruction is. At the end of the day, it’s not the medium through which you receive your instruction, but how good this instruction is. This means that, like a search for a brick-and-mortar institution, you’ll want to know more about the reputation, performance outcomes, and graduation outlook connected to your online college of choice. Like traditional college, the value of your degree will hinge very much on the quality of your instruction. This is true both in terms of what you actually learn and how your degree is perceived by future employers. 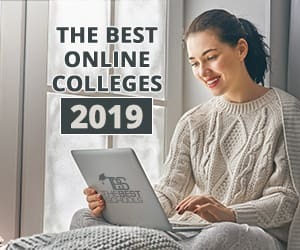 The best advice we can give you here is to start with the 50 Best Online Colleges & Universities 2019. If you’re looking for something specific to your state of residence, check out the Best Online Colleges in Each State. Here, you’ll find a pretty comprehensive assessment of instructional strengths and quality indicators. It’s a good place to begin your search. And the schools identified in these lists are proof that, if you know where to look, online education does indeed work.